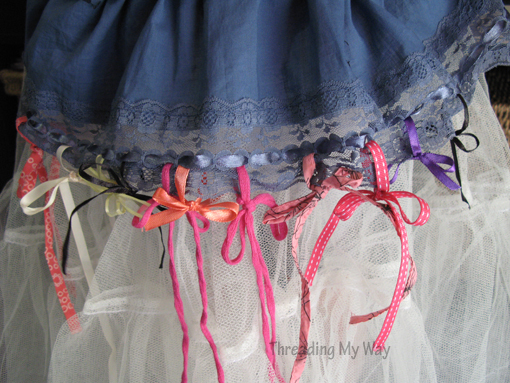 Not long after I began blogging, my daughter persuaded me to refashion her wedding dress. I have to say, I was less than enthusiastic at the suggestion of cutting into a wedding dress. Long story short, my attitude totally changed once we got going. Thanks to my daughter, I had discovered the world of refashioning. We were both thrilled with the results. 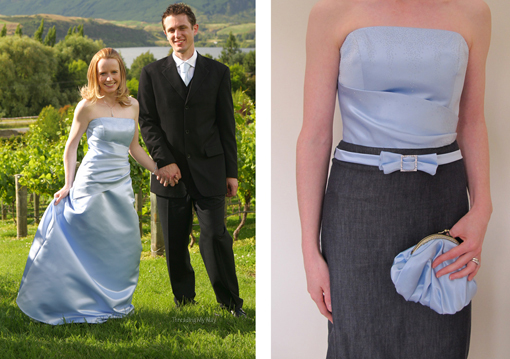 The wedding dress was transformed into a formal day dress and a matching clutch purse. What I initially thought was a crazy idea, turned into a very positive experience that gave me confidence in my sewing skills. Here's my daughter's thoughts on our wedding dress refashion. Ha, ha... you can see how she talked me into it. Some time later, the petticoat of the wedding dress was made into the Perfect Princess Dress. I still have the skirt of the wedding dress carefully packed away to make into something. One day, just the right project will come along. One wedding dress = formal day dress + clutch purse + princess dress + ??? Not only does refashioning save money, it allows us to make new, one of a kind garments, from unwanted, pre-loved clothes... creativity at its best! Do you still have your wedding dress? 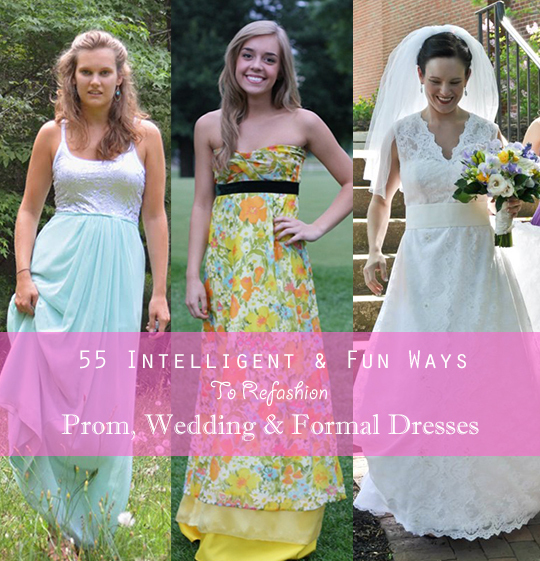 Paris Ciel is showcasing 55 Wedding, Bridesmaid and Formal Dress refashions. There are some really cool and clever ideas. I'm proud to say that our wedding dress transformation has been included in their collection. What a great job on refashioning your daughter's dress. It's very interesting what people do with their wedding gowns. Mine has been packed for nearly 45 years. I never even look at it, but I am not sure I have the emotional ability to cut it apart. Maybe for one of my granddaughters one day. I still have my wedding dress! Hmmmm. I never thought of doing anything with it, and the odds of my girls wearing it are probably slim. I don't know that many people these days where their mother's wedding dresses. Maybe that is a thing of the past. Styles change so much and gowns become more interesting every year. Thanks for stopping by! I love reading your comments and try to reply to all of them via email. If you don't receive an email reply from me, check back here. Welcome to Threading My Way. Join me as I share my love of sewing and blogging. You are welcome to link back to Threading My Way, using ONE photo, a text link and a short description for each project you are linking to. Do not alter photos in any way. You may not copy whole posts, tutorials or multiple photos without permission. Please credit ideas to Threading My Way and link back to the original post.